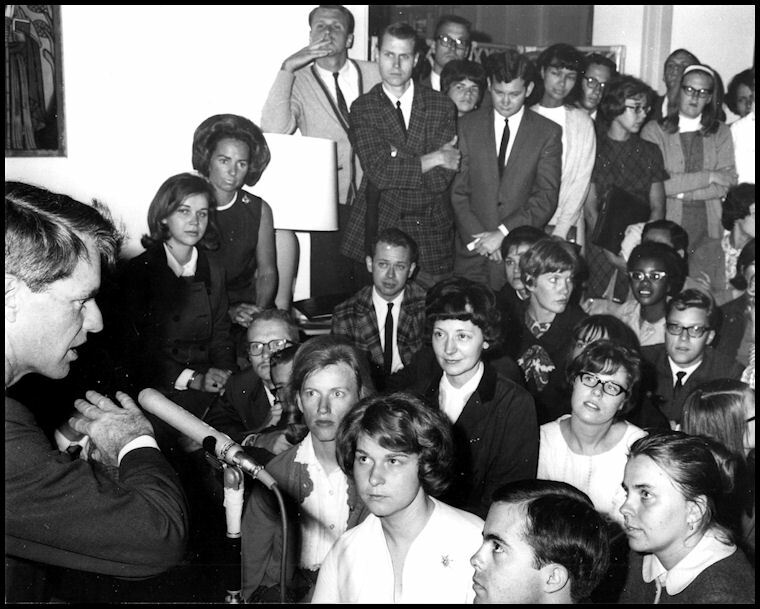 This photo was taken at the American Embassy in Addis Ababa, Ethiopia, with Bobby and Ethel Kennedy and was mailed to some PCVs after they returned home. 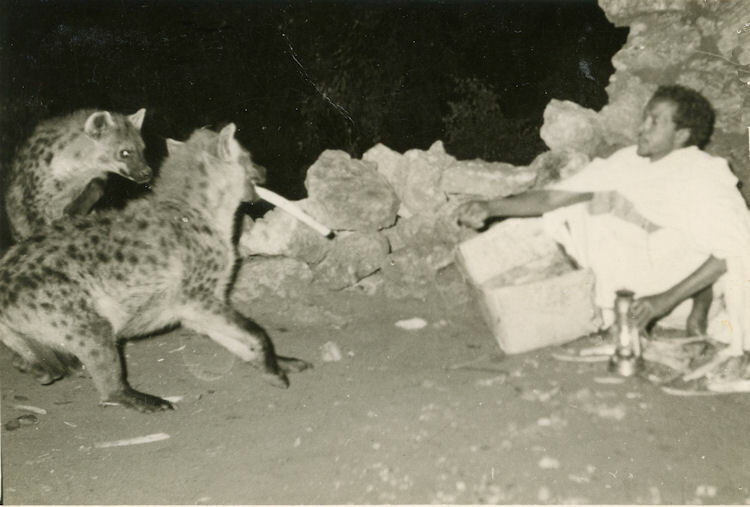 This is from a copy sent to Janet Marcks and forwarded to Tom Hankins in 2011. Identified PCV's: Janet Marcks, Jane Hankins, and Jerry Kleffman . From a copy given to Janet Marcks and Tom Hankins. 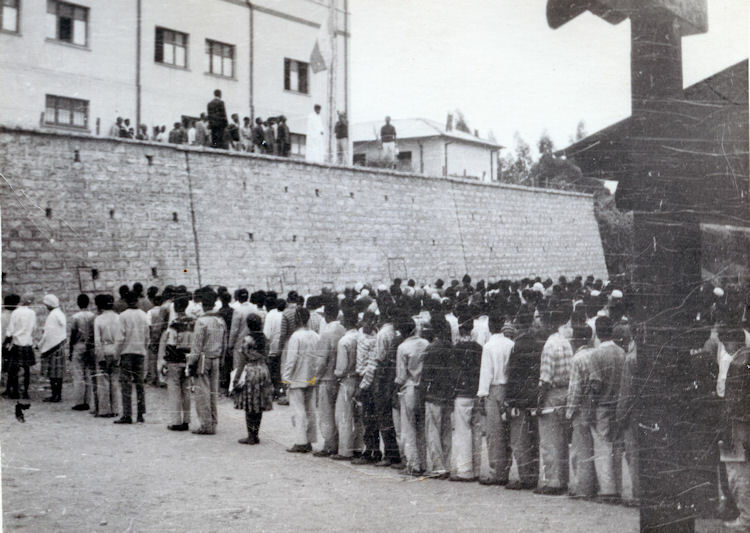 Source: U.S. Embassy, Ethiopia. Taken About 1965. 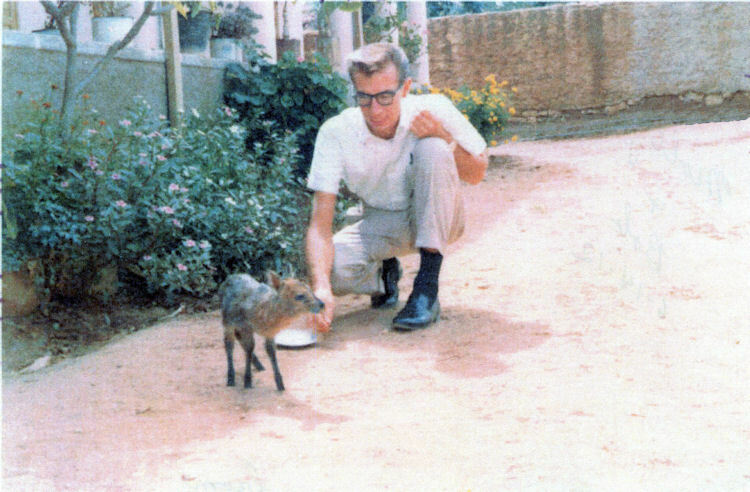 Nelson Stahlman with a Dik-Dik in Harar, Ethiopia, 1965. 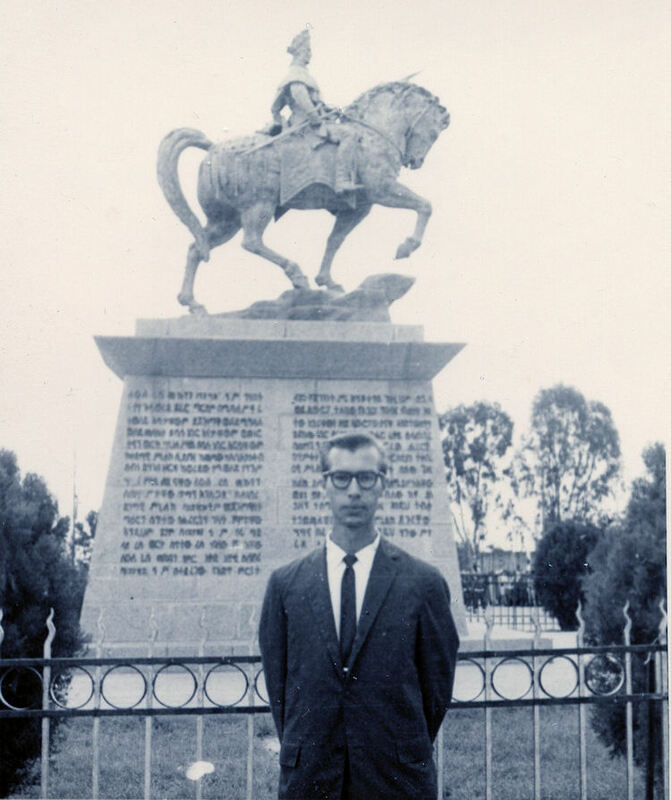 Nelson Stahlman in front of the Ras Makonnan Statue in Harar, 1966. 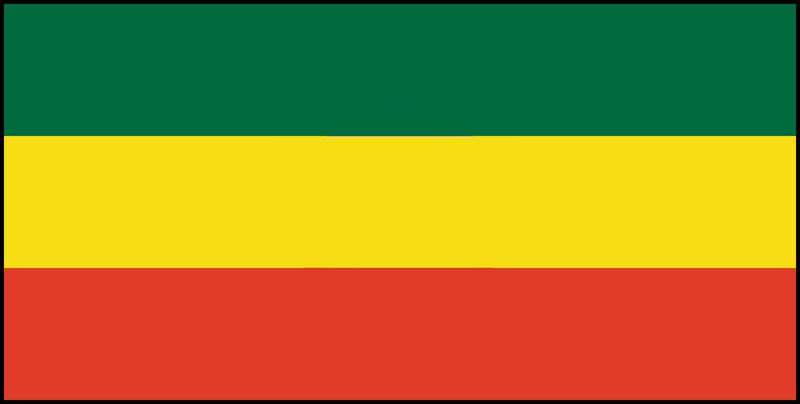 The statue was of Haile Selassie's father and he was Governor of Hara Province. 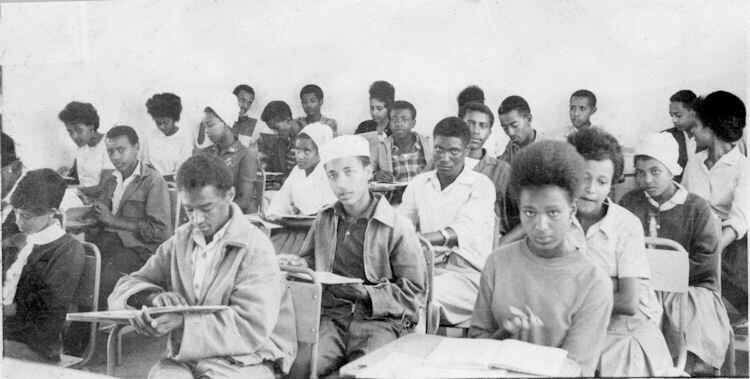 Nelson Stahlman's 9th Grade History Class at the Medhane Alem Secondary School in Harar, Ethiopia in 1966. 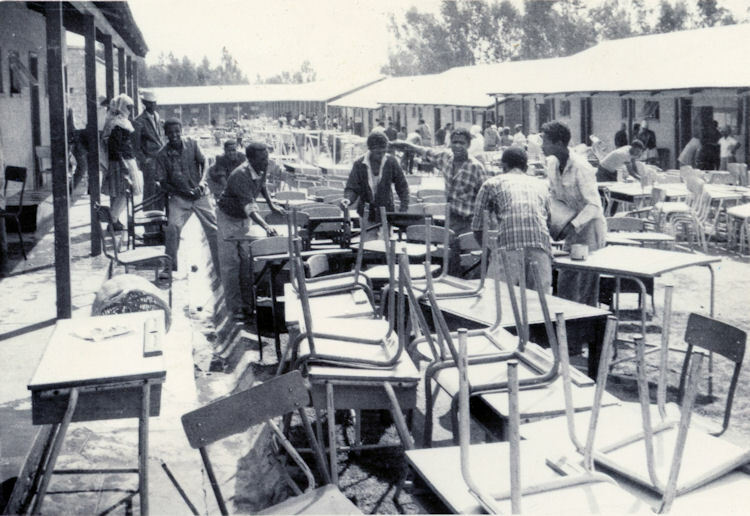 On Labor Day, the Staff and Students are cleaning school at the Medhane Alem Secondary School in Harar, Ethiopia in 1966. Abdul Moheiman Abdul Nasser, died recently (about 2016) in Harar. 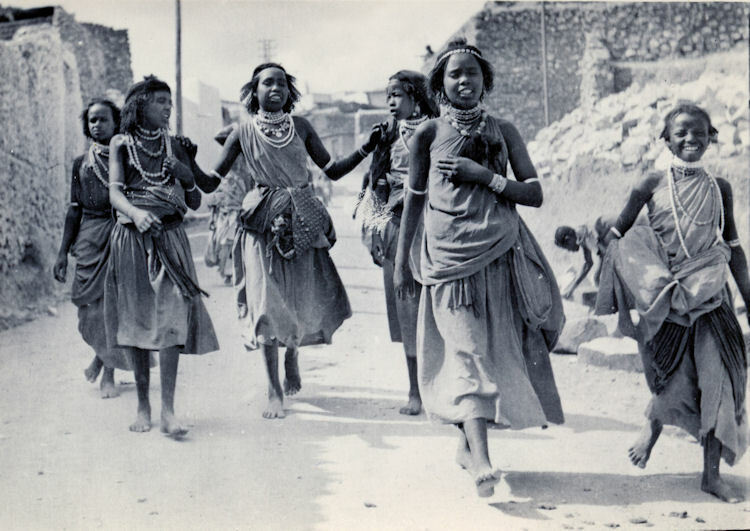 As he had become the historian of Harar, a room will be dedicated to him in a new cultural center in Amarissa, in the Harar area. 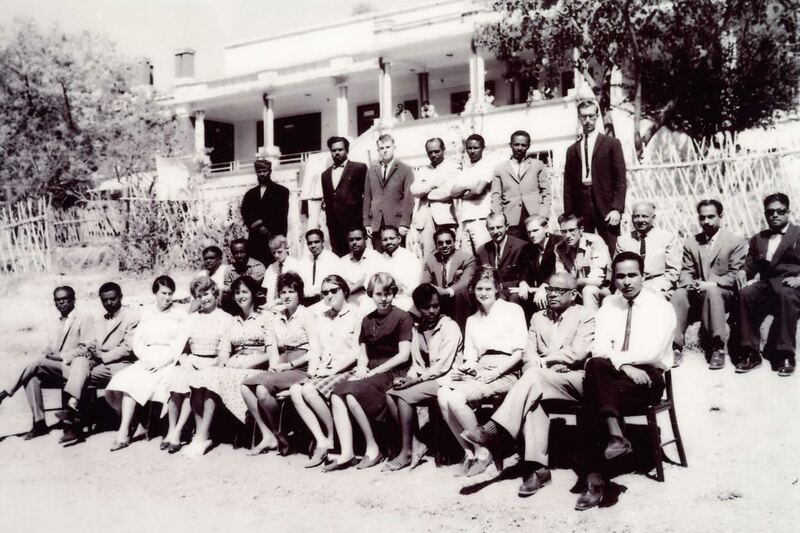 Shown are half a dozen of the Indian teachers and, of course, Ato Berhanu, the headmaster, but here are the PCVs (Ethie group III except where noted) in order from the top row. Copyrighted 2011, All Rights Reserved.